While not particularly common, choking in horses when it occurs can be a very alarming condition to deal with. Thankfully, unlike humans who stop breathing when they choke, this isn't the case with horses. 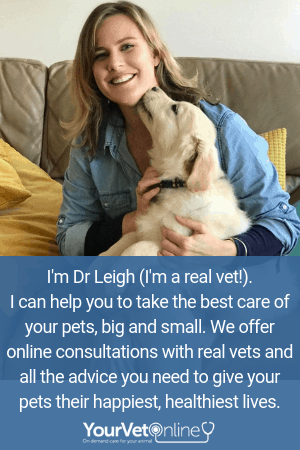 This week's Hey Doc with Dr Leigh focuses on desexing your pet and what you need to know. If you haven't read our other article on "when it's best to neuter your male dog" then head over there after you've listened to this tutorial. Just this past weekend I was asked by a friend “when is the best time to neuter my dog?” In the past, I would have quickly replied “oh around 6-9 mths old would be best”, but now, with studies looking at the relationship between neutering and health of our dogs, that advice may well be regarded as obsolete. Oh no my dog has eaten rat bait - what now? Whether you noticed that your dog has eaten rat bait, or you are highly suspicious that your dog has eaten rat bait there are a few things you need to be aware of so that your pet's life is not at risk. However, grain free has a dark and dirty secret. It isn't quite the pet food that you thought it was cracked up to be. What you might think it is....that healthy pet food option for your cat and dog, may actually be doing more harm than good. Breeding horses is a long and expensive process so it's vital that you recognise if you have a sick foal. In this Hey Doc tutorial Dr Leigh will discuss what a normal foal looks like and how to recognise if you have a sick foal. The quicker you can recognise the health problems of a foal the quicker you can have a vet instigate treatment for a better outcome. If you live in Australia, especially along the eastern seaboard then you need to be aware of the tick Ixodes holocyclusis otherwise known as the paralysis tick. These ticks inject a toxin into the dog or cat (also farm animals) when it feeds. The paralysis tick toxin causes paralysis of muscles and can result in death if emergency treatment with anti-serum isn’t given. In this Hey Doc tutorial, Dr Leigh discusses dental caries in horses with Dr Kirsten Jackson BSc BVMS (Hons) MANZCVS (Equine Dentistry) from Dental Vet in Perth, Australia. Heart disease monitoring is crucial to ensure your pet is enjoying a good quality of life. Keeping an eye on your pet is crucial when they have heart disease and also as they get older and heart disease hasn't yet been diagnosed. Often there are subtle signs that we just don't notice until it's too late. Heart disease or heart failure is a common cause of death in our pets. Sadly, often it has gone unrecognised because owners aren't familiar with the signs and symptoms of heart disease. It's not about turning you all into veterinarians, but it's about giving you the tools to monitor your pets so that when something is amiss, you consult a veterinarian for further advice.